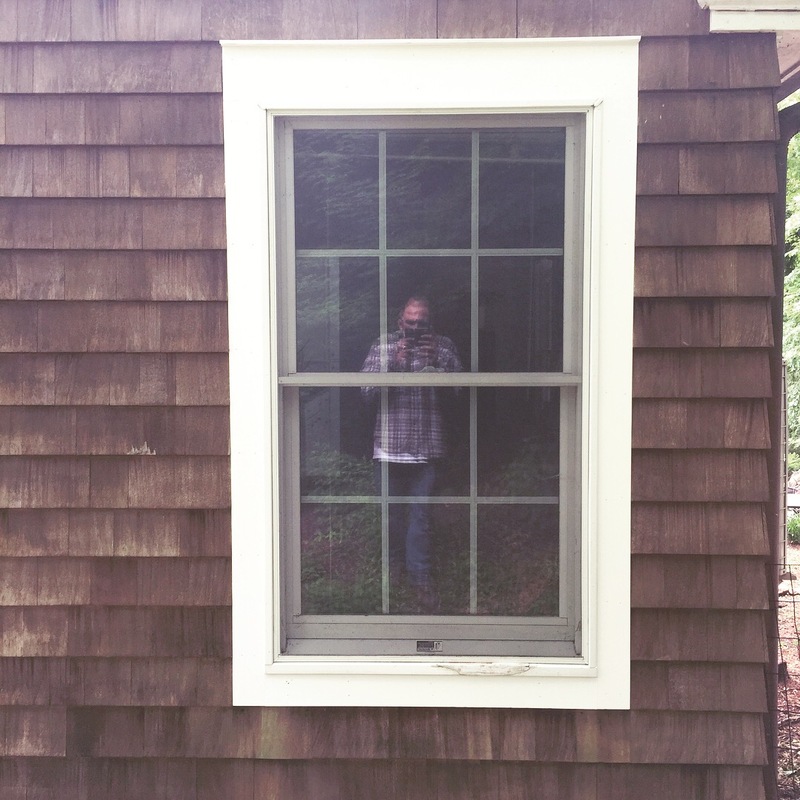 The wooden trim on this Wilton, CT home was only a few years old, and is already rotting away. We specialize in replacing rotting wood on the exterior of your home. Have you noticed peeling paint on the wood trim outside of your house? Do you have trim boards starting to show signs of rot? If you’re looking for a home improvement contractor to replace your rotting wood in Wilton, CT, then you have come to the right place. Craftsman Contracting LLC is a licensed home remodeling contractor based out of Norwalk, CT and serving most of Fairfield County. We specialize in replacing rotting exterior trim with low-maintenance PVC. We have extensive knowledge and experience in identifying wood rot as well as potential problem areas for wood rot. While PVC may look like wood, and be available in a wide number of trim profiles like wood, it requires a completely different set of skills in order to properly install. When hiring a contractor to replace your wood rot, make sure they are skilled and experienced in low-maintenance alternatives to wood. PVC stands for poly vinyl chloride, and is a rot and insect resistant man-made material that is manufactured into boards which resemble wood. PVC trim boards are often referred to as Azek. However, Azek is just the name of one of the first manufacturers of the material. Other manufacturers include Royal, Kleer and Versatex. While most wood products would quickly rot, PVC products can withstand ground contact installations, even in our brutal North East climate. When remodeling the exterior of your home, consider PVC products not only for their versatility in applications, but also the versatility in profiles available. Many of the same profiles available in wood are also available in PVC. This includes baseboard, crown molding and window and door casing. This also makes PVC an excellent choice for use in high-moisture areas inside the house, such as a bathroom. A common drawback of PVC is its expansion and contraction property. Improperly installed, tightly installed PVC will shrink considerably when exposed to cold weather. In order to combat this, Craftsman Contracting employs manufacturer’s recommended best practices during installation. This includes solvent welding all joints as well as mechanically fastening joints together. When properly installed, PVC trim will last a lifetime with no threat of joint failure. Once installed, PVC trim does not need any paint or topcoat to provide a weather-proof finish. Aesthetically, however, we always recommend painting after installation. Any high-quality latex paint can be applied to PVC with excellent results and no adhesion issues. For those insistent upon real wood, Craftsman Contracting can help with that as well. Several factors must be considered. First, and most important, is wood selection. Not all species of wood are suitable for exterior use. Hardwoods, such as mahogany and ipe, will achieve the best, longest lasting results. During installation, it is critical that the end cuts be sealed. Leaving a raw edge to the elements, the end grain will soak up moisture into the board, similar to a tree sucking up water from its roots to its leaves. Properly sealing end cuts will prevent this and thus prevent rotting. Lastly, when replacing your exterior trim with new wood trim, it is important to apply either a protective top coat, such as wood sealer or oil-primer and paint. Without a protective finish, the wood will be exposed to the elements and susceptible to rot. Craftsman Contracting LLC is a licensed home improvement and home remodeling specialist in Fairfield County. We perform replacement of rotted wood and installation of PVC trim boards throughout Wilton. If you’re looking for a home improvement contractor in Wilton, and you’d like a consultation to discuss an exterior wood repair or replacement project, then give us a call (203) 642-3343 or fill out our contact form and we’ll get right back to you.